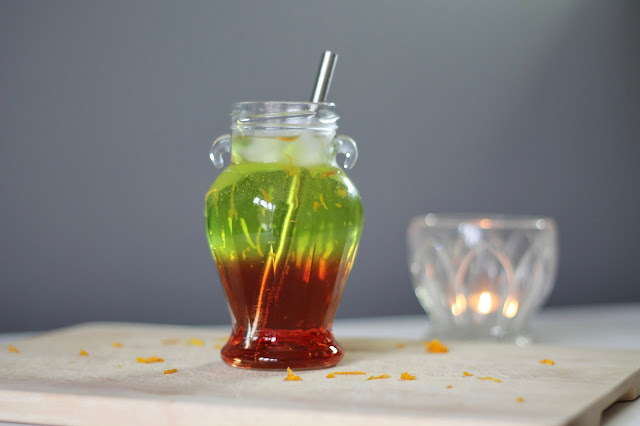 The Underworld - Halloween Cocktails | 2 | gingerbread smiles. When I was in the kitchen making my first Halloween cocktail, I decided to get a few other bottles of alcohol out and try to make a few more. Looking through my flavour thesaurus for some inspiration of what might go well together, I decided to try melon and orange. After I had my base, I decided to make it a little more gruesome adding it to a cauldron looking jar and dropping in a few extras. When I sat back and looked at my creation I decided that it reminded me of Hercules the film. The jar looks like the cauldron that the witches use and the red and green layer with the speckles of orange zest represent the Underworld which Hercules brought Meg back from. Well that's what I thought anyway, overall its just a lovely drink! 1. 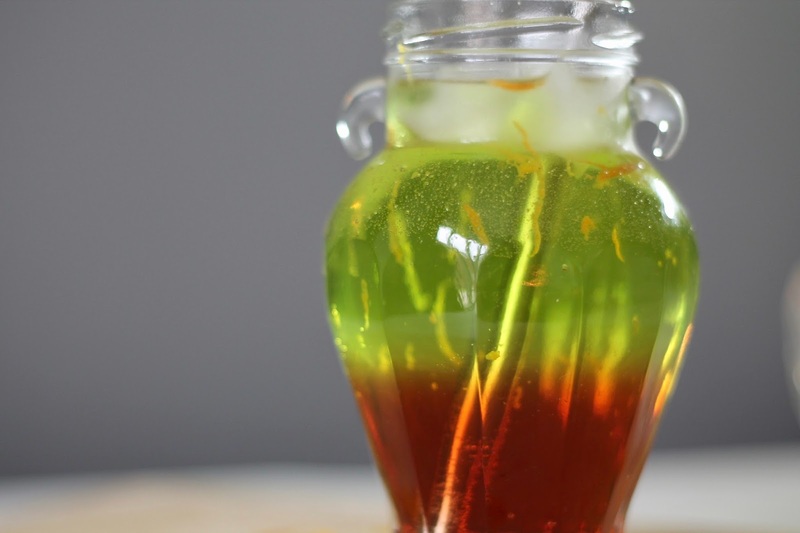 In your glass put in some and then add your Midori and Triple Sec, mix, then top with soda water. 2. To add a red layer to the bottom on your glass, pour a little bit of grenadine in being careful to pour towards the edge to keep the layer. 3. Finally to add the grizzly spirits whirling around in the 'Underworld' grate an orange over the top of the drink. I'm only a real fan of sweet, fruity drinks and that is what this is. 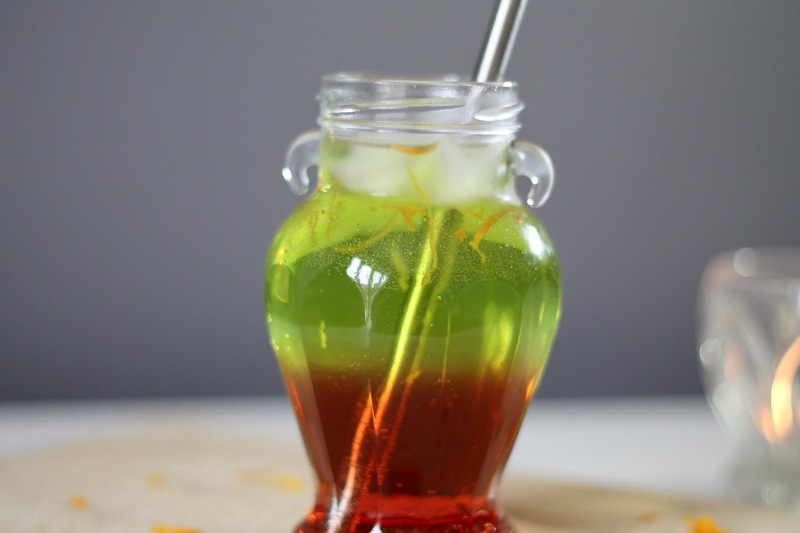 The melon and the orange work really well together and the addition of grenadine works well with any drink. Let me know if you make this or if it inspires any other Halloween creations. 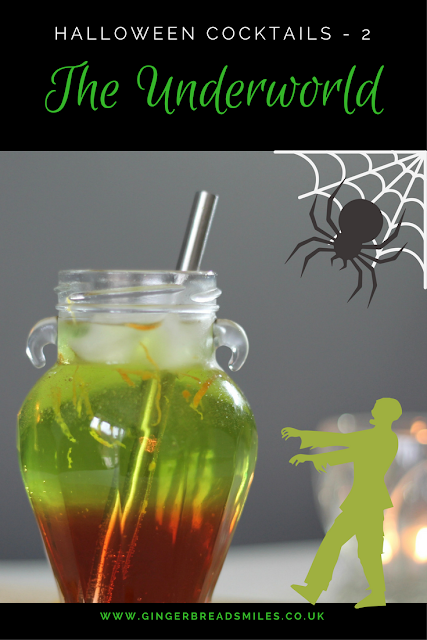 I have one more Halloween cocktail recipe left which will be up next Tuesday! 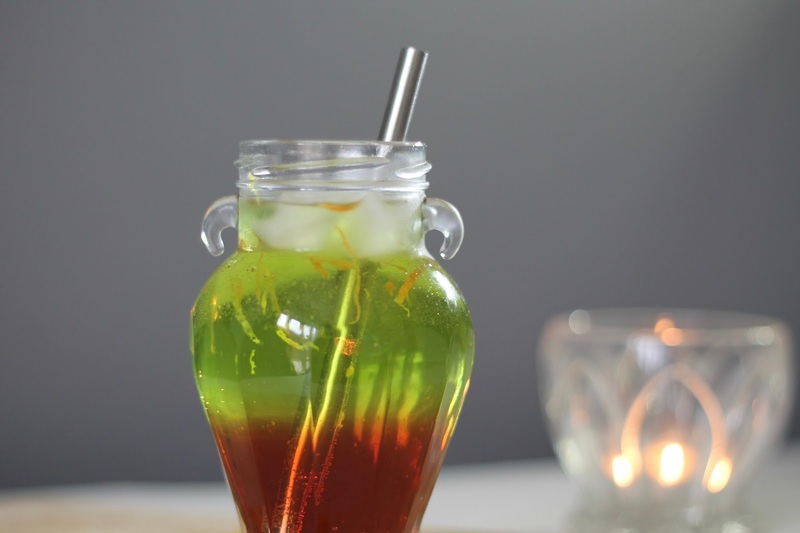 This is a very photogenic looking drink, very halloweeny!